If you are on Kauai, you must eat Hamura's Saimin, no matter if it is sweltering hot or what. 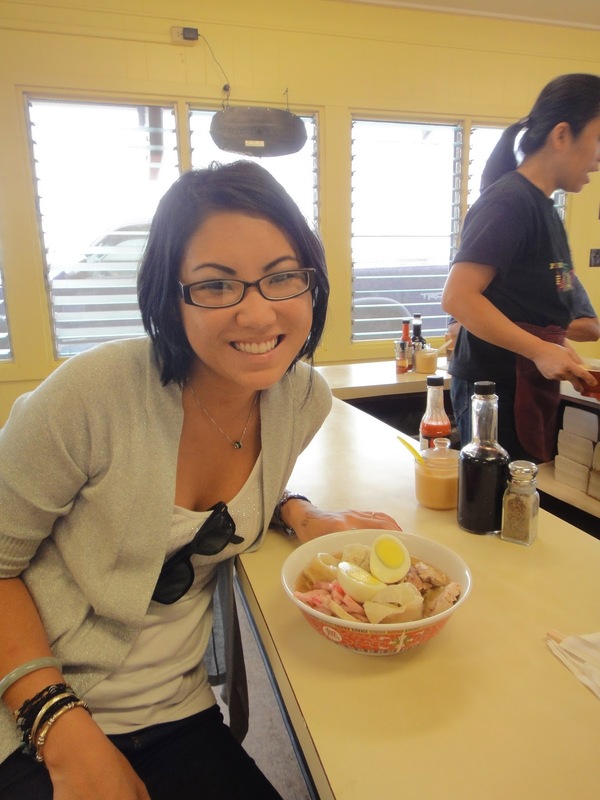 Hamura's Saimin is located in Lihue, and is definitely a cheap eat for all the food you get. It really is a value. Two days in a row, both Dad and I couldn't finish our saimins! 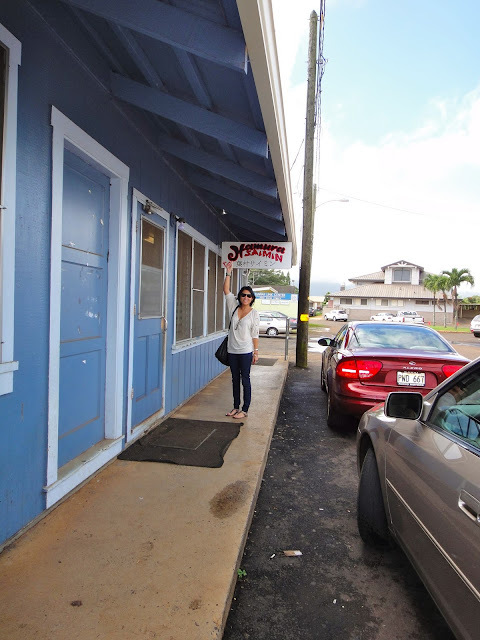 They are also known for their Lilikoi Pie and also their BBQ Chicken sticks! Everyone, and I mean, everyone, orders a saimin with a side or two of chicken sticks. Another hit- their manapua! The last day we were there, people stopped by just to order dozens of manapua to go. We had to try, so we bought 3 to take home. Thank god we had ordered it early, because by 12 noon, there were only 4 left!! That is how popular it is!